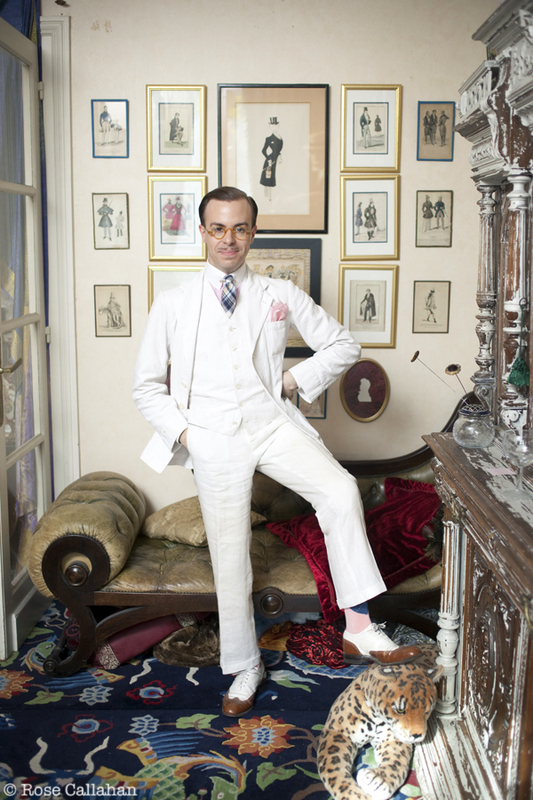 Is 2013 the year of the Dandy? Kate Irvin and Laurie Brewer, curators of the new exhibit Artist/Rebel/Dandy certainly think so. But for them it's been more like "The Years of the Dandies". This is something we have in common, having both been working on parallel projects about dandyism for the last several years. I was able to meet up with these talented ladies last fall about the exhibit, and am honored to have three large prints included in the show set to open April 28 and on view until August 18, 2013 at the Museum of Art and the Rhode Island School of Design. It'll be a dandy summer for sure! The opening festivities are in kicking into high gear - opening gala, dance party, and first tweed run in Providence! Check out their schedule and facebook page for more info. This exhibit has it's heart in the right place, as far as I'm concerned. For one, the initial inspiration was the late Richard Merkin. 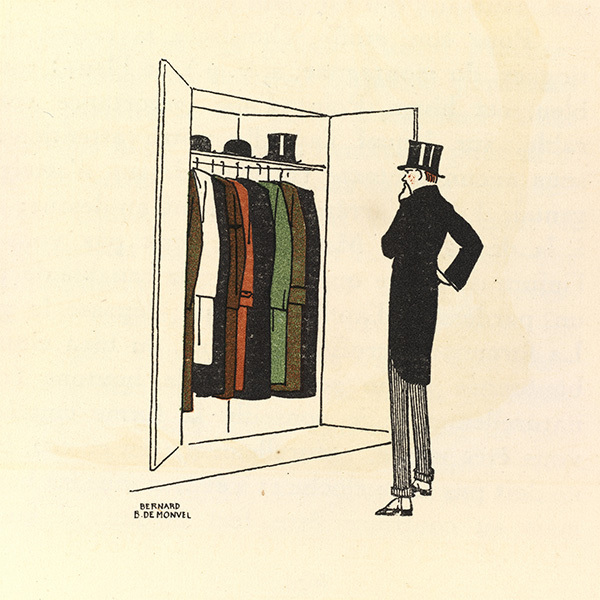 And although their focus is on fashion and textiles, which many of the exhibits on dandyism have been, they see the men who wear the clothes as being the driving factor of meaning. The clothes are the artifact of the amazing life lived. The dandy - who is the artist, the rebel - is the revolutionary force driving us forward. They don't try to fit in with anyone else, they don't try to be a dandy, they just are. Their nature is to be on the vanguard, and because they cannot stand to go along with the crowd, they innovate by default. Why did Guy Hills start making Dashing Tweeds? Because he wanted the colors and prints that no one made anymore (or ever!). Again and again this theme repeats in the stories of the men I have photographed. 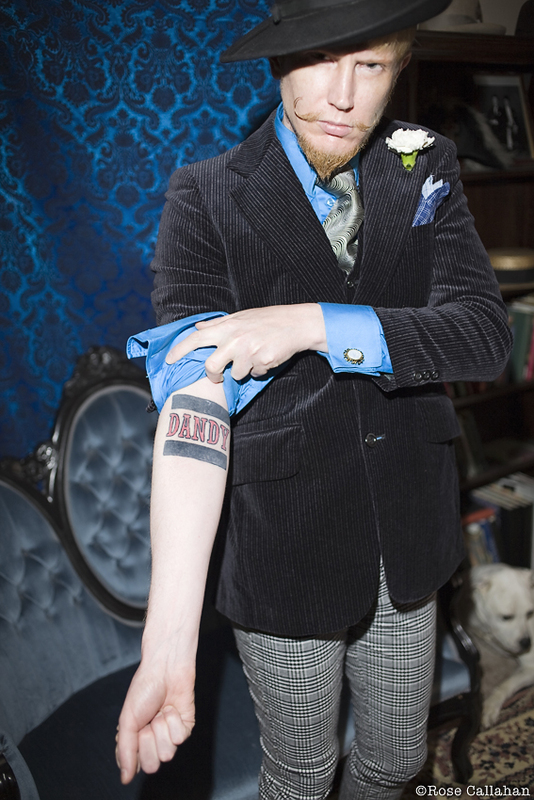 So all hail the year of the Dandy! Capped off, of course, by my book debut in the fall! More from the exhibit...Love seeing this vintage shot of Mark Twain in a linen suit next to Massimiliano! 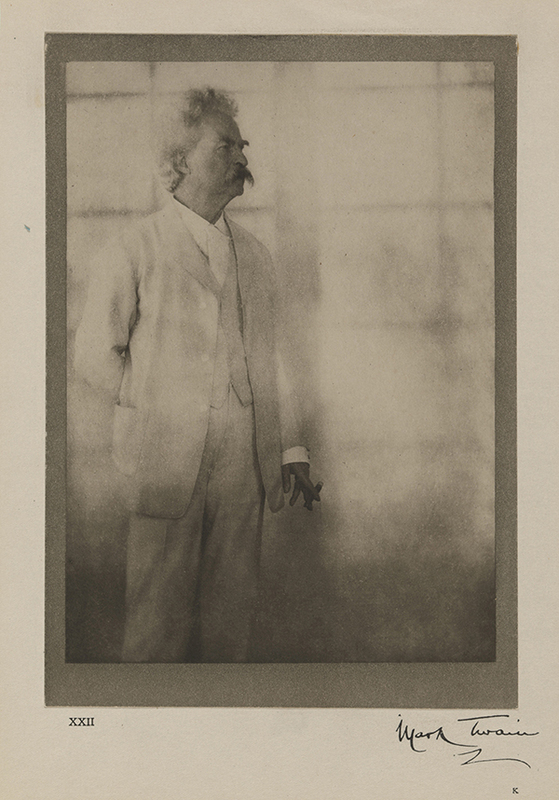 Alvin Langdon Coburn, Mark Twain, 1908. 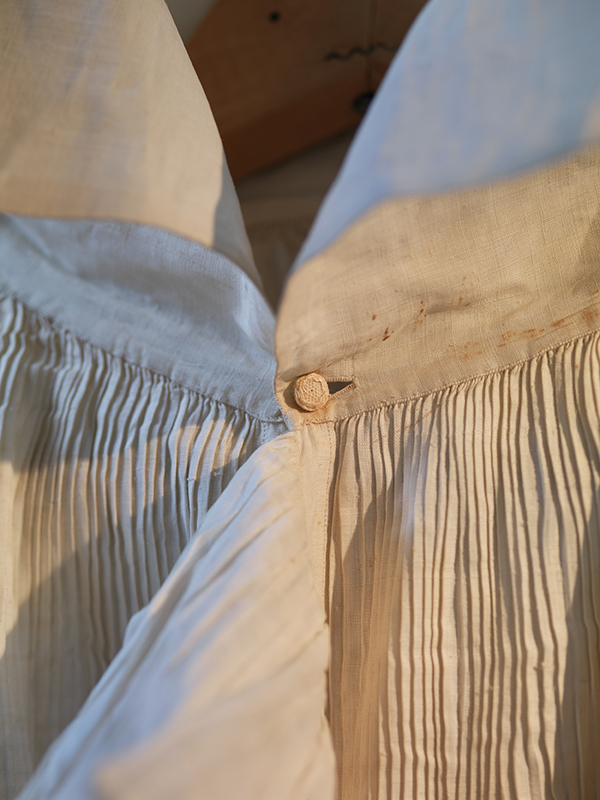 Shirt (detail), late-18th century. Linen plain weave with cotton ruffle. Four-piece suit worn by Michael Strange (pseudonym of Blanche Oelrichs), ca. 1928. Brooks Uniform Co., tailor, New York, est. last quarter of 19th century. 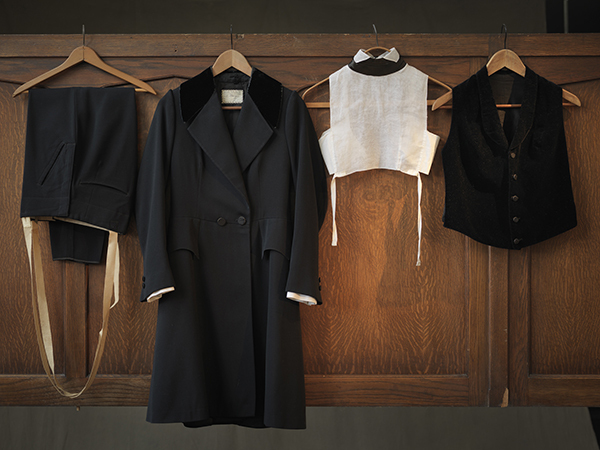 Wool crepe coat with silk velvet collar, wool crepe trousers, cotton velvet waistcoat, silk plain weave dickie.